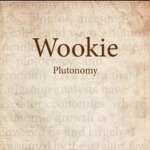 ‘Plutonomy’ is the second release for 2017 from the legendary Wookie. The track has all the classic elements that you would expect from a Wooxstar production, hard Skippy drums, an ocean deep bassline, pitching synths and a nod to 90s NYC House. 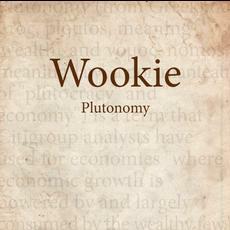 The word ‘Plutonomy’ is a banking terms used to speak about the in balance of power and wealth with the wealthy few and the poor majority, full description below. With a packed DJ schedule over the summer months Wookie including 51st State, Outlook and trips to Europe and the Middle East, 2017 looks like being another blockbuster year for the North Londoner. World renowned producer Wookie has been making music since the early 90s, producing the UK R&B smash ‘G Spot’ for Wayne Marshal before becoming the in-house producer for Jazzie B’s Soul II Soul collective. In the latter 90s he started producing under the Wookie alias and can be sighted as one of the pioneers of the UK Garage sound. His hits include ‘Battle’ , ‘Scrappy’, ‘Back Up To Me’ and his mixes for Sia, Destiny’s Child, Disclosure and Jessie J are staples of the genre. are his track ‘Storm’ was also a major influence on what went on to become the UK Grime scene. Few can boast to have released records for the past two decades and remain at the cutting edge of the dance community.